The Grateful Patient Program provides patients and their families with an opportunity to show gratitude to those who played a special role in the care they received while at Grace Hospital. Gifts received through this program will not only recognize the special caregiver, but also help to support patient-related enhancements such as equipment, research and special programs that would not otherwise be funded by the government. Whether you choose to recognize a doctor or nurse, an entire department, or a program that impacted your health, your donation is a meaningful opportunity to say thank you. Click here to view the print brochure. Upon receipt of your gift, a card and lapel pin will be given to the caregiver you wish to honour. By donating monthly, you provide ongoing reliable support to the thousands of patients who depend on us. Donations are processed automatically by credit card, and you will receive your tax receipts at the end of the year. If you would like to start donating monthly, please call us at 204-837-0375. To be removed from our mailing list, please email foundation@ggh.mb.ca or call 204-837-0375. Why is Grace Hospital Foundation launching a Grateful Patient Program now? In 2008, the Personal Health Information Act was changed to allow health care-based fundraising organizations to contact past patients. Grace Hospital has provided Grace Hospital Foundation with mailing information for past patients for the purpose of informing them of the Grateful Patient Program. To read the Personal Health Information Act, please click here. What patient information does Grace Hospital release to Grace Hospital Foundation? Only names and addresses of past patients are released to Grace Hospital Foundation. Personal information, such as date and reason for the patient’s Hospital visit are not released. How can I trust Grace Hospital Foundation with my personal information? The Grace Hospital Foundation is committed to protecting privacy. In accordance with the Personal Health Information Act, we retain only information regarding your gift history. We do not rent, sell or trade mailing lists or other personal information. What is Grace Hospital Foundation mailing to past patients? A letter inviting past patients to share their Grace Hospital story with us and a brochure detailing the program and ways to donate. How often will mailings be sent? Grace Hospital Foundation started sending Grateful Patient Program mailings in March 2018. Patients will receive mail at least 3 months after being discharged from hospital. What if I don’t want to receive mailings? If you wish to be removed from Grace Hospital Foundation’s Grateful Patient Program mailing list, please email foundation@ggh.mb.ca or call 204-837-0375. How can a past patient recognize a compassionate caregiver? 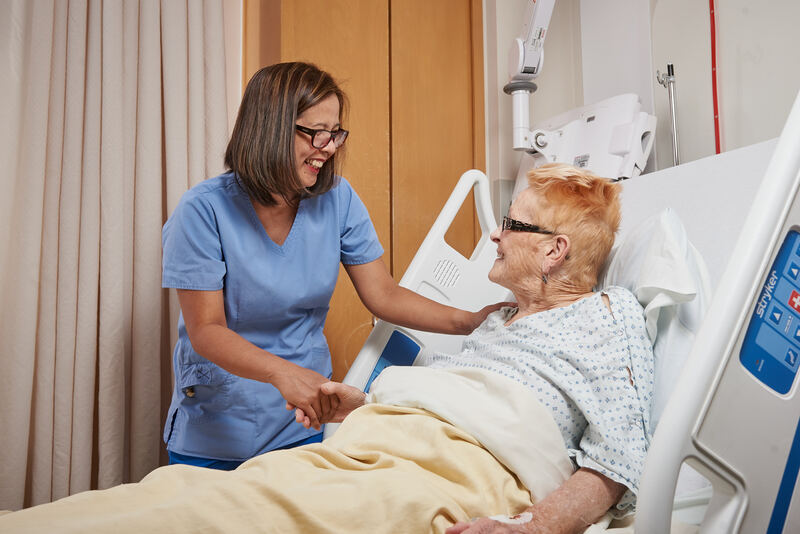 Grace Hospital Foundation invites past patients to recognize their caregivers at Grace Hospital through the Grateful Patient Program. Grateful patients can submit their stories to Grace Hospital Foundation, which will in turn share these stories with the appropriate individual, team or department. Do grateful patients have to make a donation in order to recognize a compassionate caregiver? No, grateful patients do not have to make a donation in order to recognize their caregiver. How will caregivers know that a grateful patient has recognized them? Grace Hospital Foundation will send a “Thank You” letter and a lapel pin to the caregiver on behalf of the grateful patient. Are Grateful Patient Program donations designated or undesignated? While a grateful patient can choose to designate their donation to a specific program area or initiative, Grace Hospital Foundation does encourage donors to consider making an undesignated donation so that funds can be directed to the area of greatest need.